Designated marijuana providers, collective gardens and medical marijuana dispensaries may want to validate the authorization of a patient in regards to their use of marijuana. Validation of such information is very important even when marijuana delivery service paperwork is being filled. The main reason for doing this is to ensure that one is afforded an affirmative defense as required by law. For example, a medical marijuana dispensary needs to verify their authorization of their patients because if the entities serve their patients with an invalid authorization, then the dispensary is unlikely to be successful when raising an affirmative defense when answering to marijuana charges. For this reason the authorization of marijuana delivery service paperwork may be invalid if it has been signed before the date in which marijuana was legal, if the expiration date has past, if the health care personnel was not licensed properly when signing for the recommendation of marijuana to be used by the patient or if the paperwork is a forgery. If a medical marijuana dispensary fails to validate such information, then they risk stiff penalties from federal authorities. To stay on the safe side, they should ensure that the authorization papers are well dated and signed and also ensure that the expiration date within which the authorization is valid has not passed. 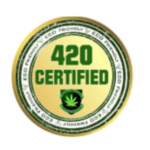 Other means of verifying legal marijuana delivery service paperwork is by determining that the health professional was licensed in the state at the time of signing the paperwork. 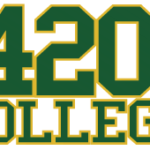 As recommended by 420 College, also verify that the paperwork includes an advice from the healthcare professional that the patient was advised on the benefits and risks of using medical marijuana. But once you have verified the paperwork, the next step should be to verify the individual’s identity. First, you should verify that the name on the patient’s identity matches the name of the authorization paperwork. Also verify that the photograph on the authorization paperwork matches that of the patient. Lastly, verify that the physical characteristics that are listed on the paperwork match those of the patients which include eye color, weight, height, hair etc.